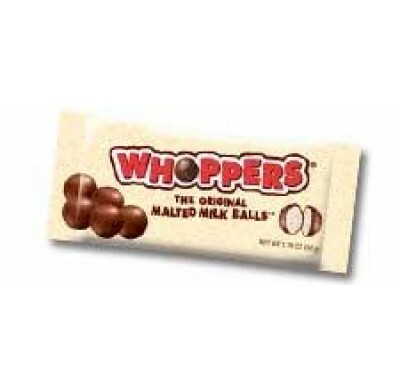 Whoppers (24ct) from Hershey's, the original malted milk balls smothered with milk chocolate. The perfect treat for movie watching or as garnish on ice cream. Kosher Dairy. Boxed candy comes 24 pieces per case.